It time for another edition of the LouisDen BeatCypher. 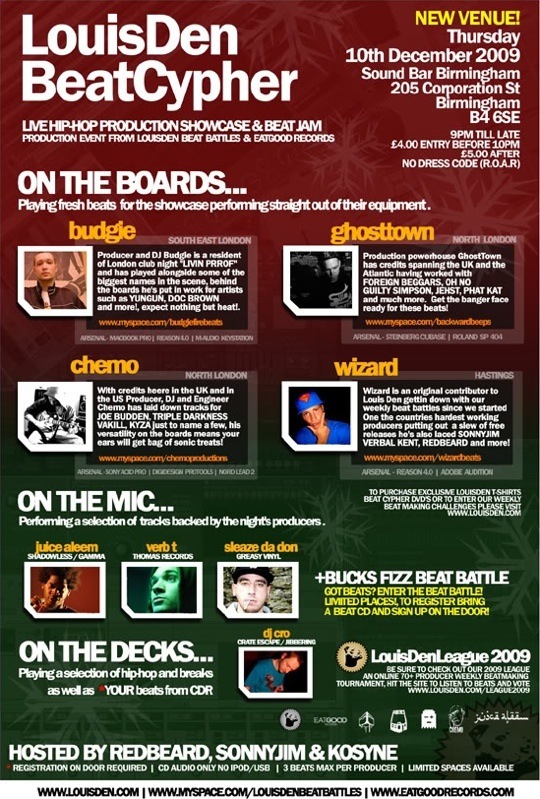 The 8th LouisDen producer/beatmaker showcase takes places on December 10th, 2009 and features Budgie, Wizard, Ghost Town, and Chemo. Me and my most effective friend was just having a conversation on this incredibly subject and we decided to look it up and found your web page. Quite informative facts.